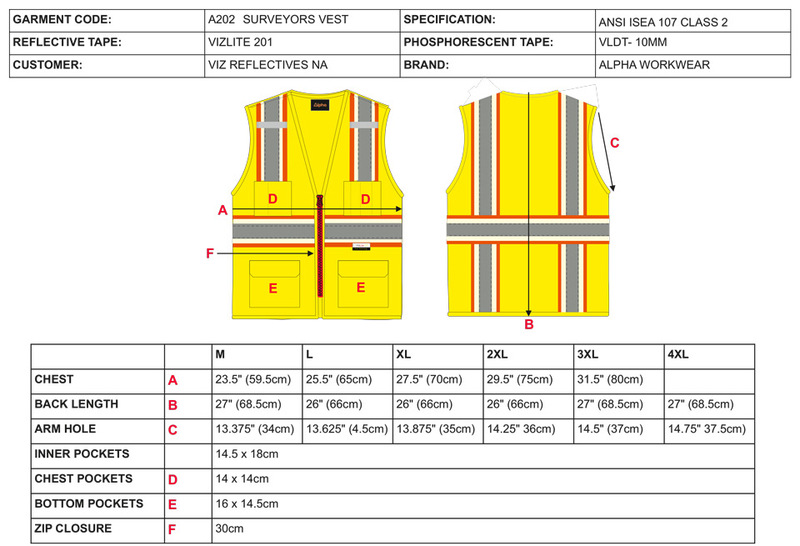 This Glowing Surveyor Vest is Class 2 and Available in Yellow and Orange, in Sizes M-4X. The wearer of this vest can be seen in the dark without the need of batteries. The illumination is charged by daylight or artificial light in just minutes and lasts for hours. Protecting workers with new technology of 3 levels of protection: fluorescence, retro-reflectivity and phosphorescence.